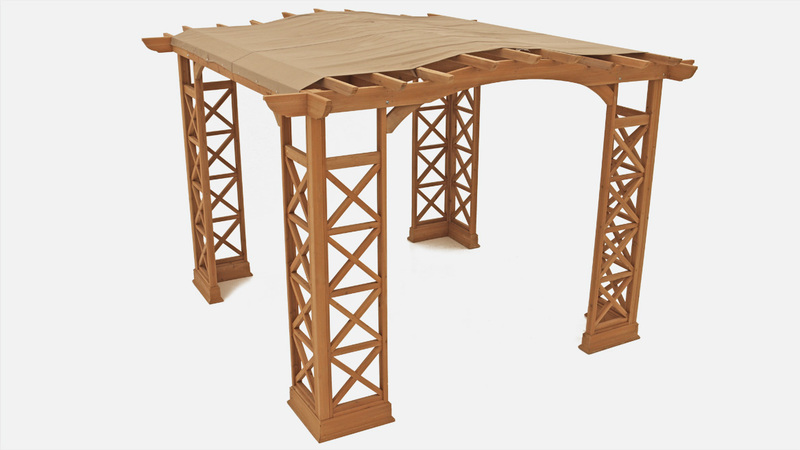 Increase the length of time you can relax and enjoy your outdoor oasis with one of our Yardistry Sunshades. All of our Sunshades are made from water resistant Sunbrella performance fabric, which is recommended by the Skin Cancer Foundation as an aid in the prevention of sun-induced damage to the skin. 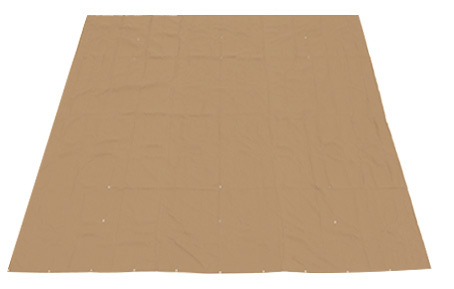 The Yardistry 12’ x 12’ Retractable Sunshade will allow you to enjoy your time outdoors, sprinkle or shine! 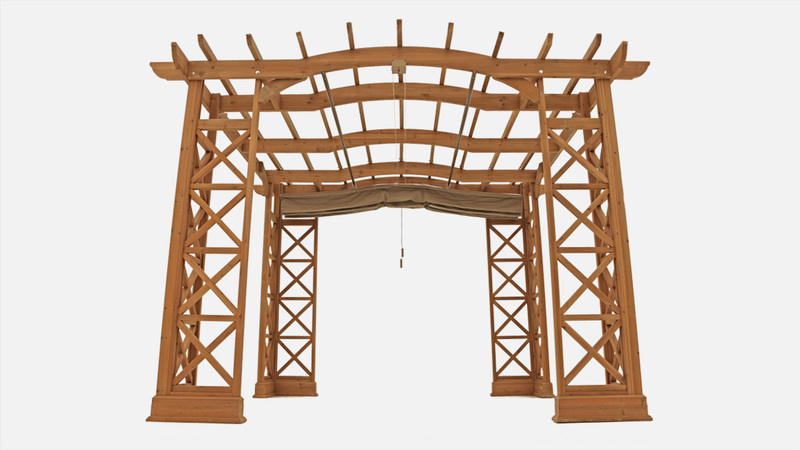 Specifically designed for Yardistry’s 12’ x 12’ Arched Pergola Room Kits (YM11640 and YM11635X), the Retractable Sun Shade runs on two tracks that are attached to the underside of the Pergola’s roof and can be retracted and expanded at leisure. 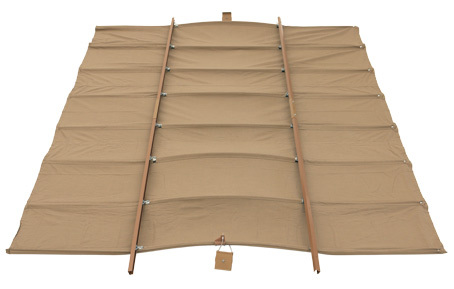 The Yardistry 12’ x 14’ Retractable Sunshade will allow you to enjoy your time outdoors, sprinkle or shine! 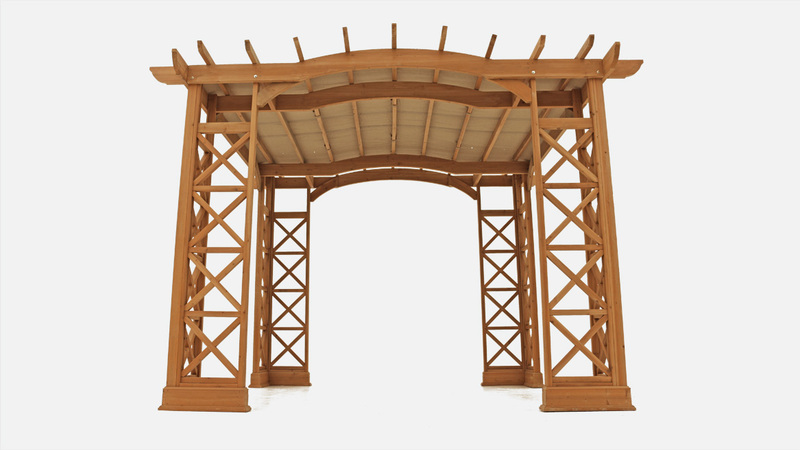 Specifically designed for Yardistry’s 12’ x 14’ Arched Pergola Room Kits (YM12600 and YM11645), the Retractable Sun Shade runs on two tracks that are attached to the underside of the Pergola’s roof and can be retracted and expanded at leisure. 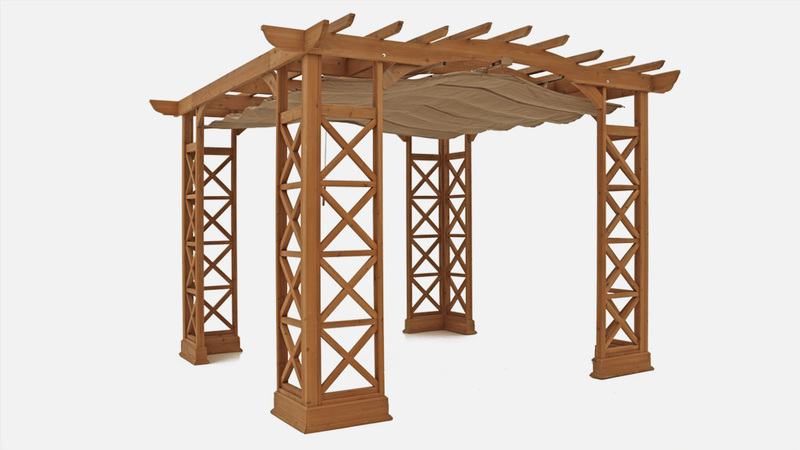 Specifically designed for Yardistry’s 12’ x 12’ Arched Pergola Room Kits (YM11635 and YM11640) the Sun Shade provides comfortable shaded oasis in your backyard. Assembly couldn’t be easier, it’s like buttoning a jacket! 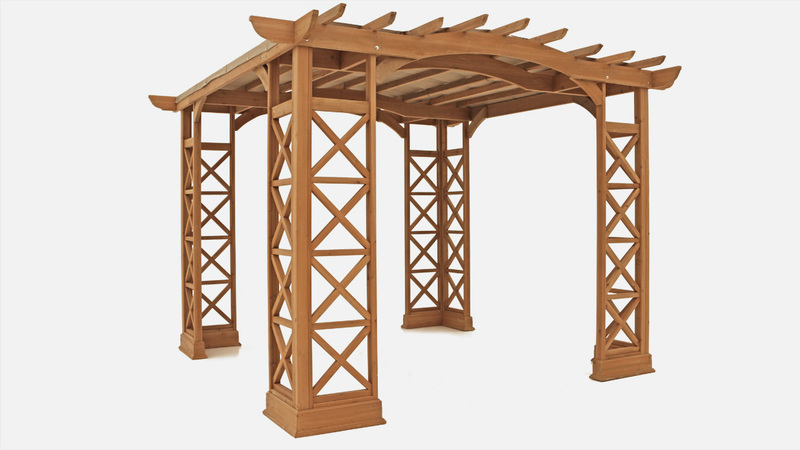 Simply install the male snaps onto the Pergola and snap on the Sun Shade that has the pre-installed female snaps. 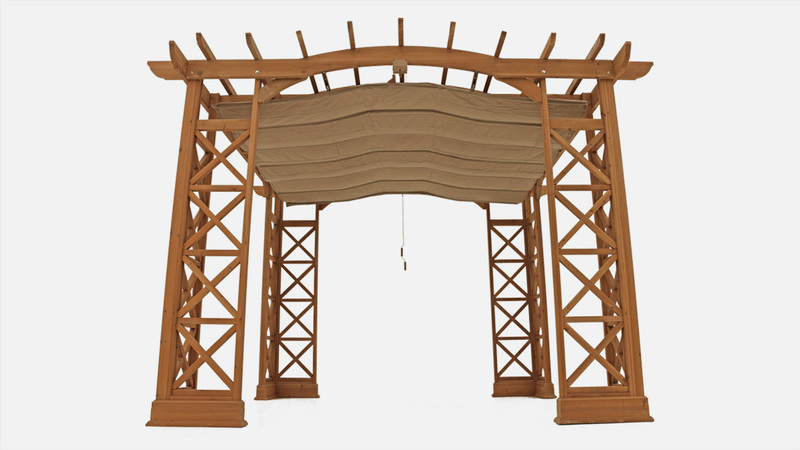 Specifically designed for Yardistry’s 12’ x 14’ Arched Pergola Room Kits (YM12600 and YM11645) the Sun Shade provides comfortable shaded oasis in your backyard. Assembly couldn’t be easier, it’s like buttoning a jacket! 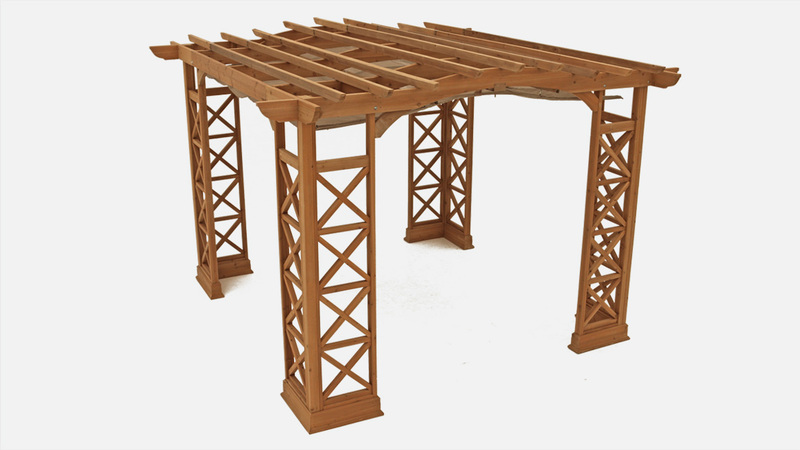 Simply install the male snaps onto the Pergola and snap on the Sun Shade that has the pre-installed female snaps.